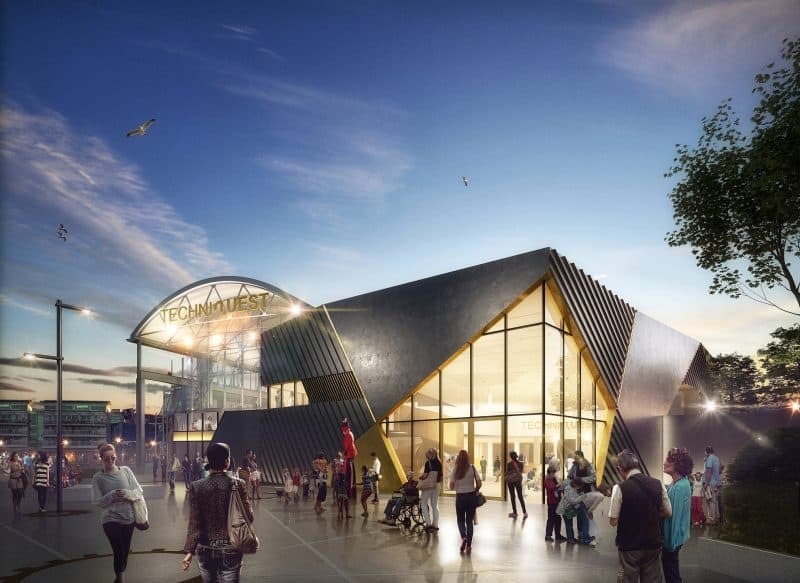 Techniquest has submitted a planning application for its £5.7m Science Capital project, which will see the radical transformation and expansion of its science discovery centre in Cardiff Bay. Planning has been submitted to extend the educational charity’s current building on Stuart Street to create an additional 900m2 of exhibition floor space. The scheme, designed by local architecture practice HLM, will significantly increase Techniquest’s footprint providing an additional 60% exhibition space to house brand new innovative content related to, and developed with, Welsh STEM innovators, academics and communities. The new immersive and innovative exhibition areas and experiences will help Techniquest to diversify its audiences and increase visitor numbers by at least 40%. Lesley Kirkpatrick, CEO of Techniquest said: “Since securing funding, it has been full steam ahead in our Science Capital project. We’ve been working closely with our consultants to marry up our objectives, with the space we have available, and our ultimate goal of ensuring the charity has a sustainable and long-term future in Wales. As well as creating a new vibrant public entrance, the plans include a designated community space overlooking the Bay, a new café and shop, in addition to a roof terrace and courtyard designed to host interactive artworks and features to complement exhibitions. The scheme is being project managed by Lee Wakemans who are working alongside HLM (architects), Hydrock (project engineers) and Wardell Armstrong (planning consultant). Subject to planning permission being granted, it is anticipated that work on the extension will commence in Spring 2019, with the new space being open to the public by Summer 2020. Creative communications agency jamjar scooped a hat-trick of gold awards last week at the annual Chartered Institute of Public Relations (CIPR) Cymru Wales PRide Awards. The Cowbridge-based agency, which specialises in PR, digital, social, marketing and creative, took home the most gold awards on the evening triumphing once again. Held at Cardiff’s City Hall and attended by 300 PR professionals, jamjar was recognised by its industry body for its work with Cwm Taf University Health Board and Visit the Vale. 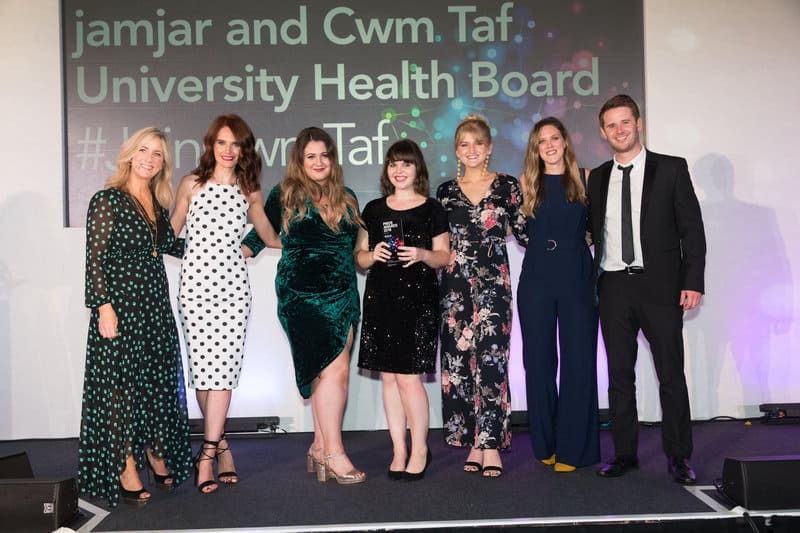 For the second year in a row, jamjar triumphed in the Best Use of Digital and Healthcare Campaign categories for its notable work with Cwm Taf University Health Board. The multi-award winning recruitment campaign, #joincwmtaf, targeted doctors from the UK and overseas through a range of innovative digital tactics such as 360 degree video. The latest win come after a string of successes for the campaign, after it scooped a coveted CIPR Excellence award in June, fighting off stiff competition from industry leaders across the UK such as Facebook. The team also snagged a gold award in the Low Budget Campaign category for its cost-effective communications campaign for Visit the Vale, which helped to attract visitors to its summer event series – the Barry Island Weekenders. Over the past six years jamjar has claimed over 20 prestigious awards from the CIPR, Chartered Institute of Marketing (CIM) and the Welsh Business Awards. Lyndsey Jenkins, managing director of jamjar, said: “We’re particularly proud of the work we’ve done for our clients over the last year, and to be celebrated for our creative and results-driven approach is incredibly pleasing. Creative communications agency jamjar has expanded its team following a year of growth and diversification. 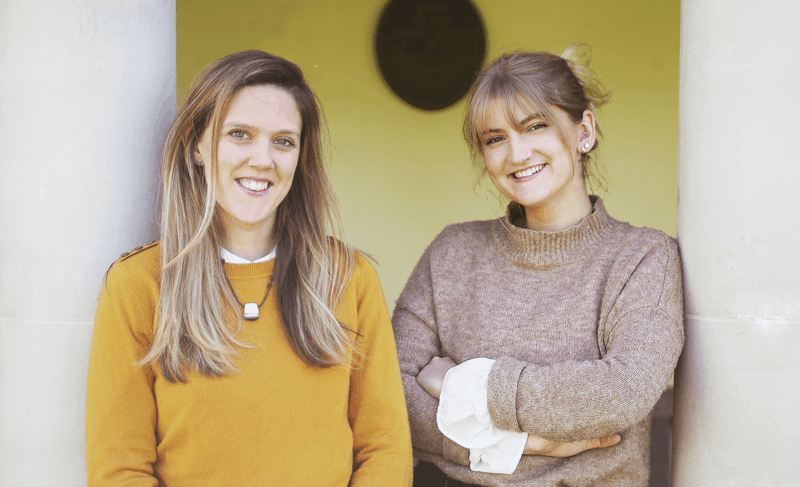 The Cowbridge-based agency has appointed Anna Jarvis to head up its creative division and Mari Makarov as visual content producer. Ms Jarvis joins the team having worked for outdoor advertising giants Kinetic Worldwide and JCDecaux in London where she worked with national brands including Comfort and Savse Smoothies. Ms Jarvis, who has a BA in Creative Digital Media, will develop the agency’s creative offering, providing branding, design and digital support to its growing client base, which includes Techniquest, NHS Wales Informatics Service, Scouts Cymru and Greenaway Scott. Ms Makarov joins the team having honed her video production and editing skills back in her native Estonia working with clients including luxury brand Chanel. With a first class degree in visual effects and motion graphics from the University of South Wales, at jamjar Ms Makarov will be responsible for creating visual content, such as photography, videos and motion graphics. The expansion comes on the back of a recent brand refresh and a hugely successful year for the agency, which was the only agency in Wales to win at the Chartered Institute of Public Relations’ Excellence Awards. Managing director, Lyndsey Jenkins, said: “Since I started jamjar back in 2012 the communications world has changed considerably, and consequently our services have evolved to reflect this, and the growing requirements of our clients. “As a result, earlier this year we decided the time was right to refresh our brand and drop the PR from our name. “While PR will always be a core part of our business, we now offer so much more – creative, marketing, digital and social – so we felt it was essential to update our brand accordingly. How do you spot a good news angle? That’s a question that I, as a former journalist turned PR professional, get asked quite frequently by clients. 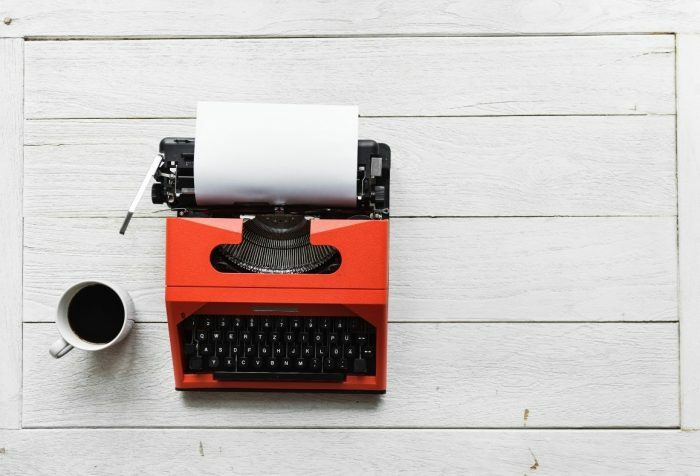 Before writing an article, press release, or blog, everyone will ask themselves if the topic they are considering writing about is, in fact, interesting enough to warrant further discussion. The term we often use to refer to a good article angle, is whether it is newsworthy or not. 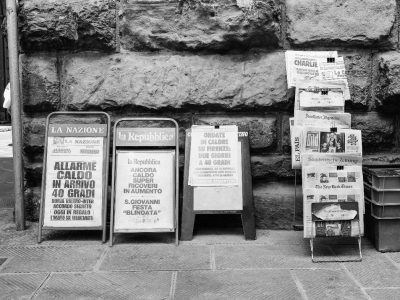 Identifying a newsworthy story can be the difference between achieving great coverage, or sending an article out into the news and media abyss. But how do you know if something is newsworthy? Generally, a good news angle is deemed to be something which is genuinely new, interesting, and informative, and provides a unique perspective which promotes widespread interest and discussion. However, when it comes to PR, this can be tricky. What a journalist deems newsworthy, and what a business believes is newsworthy may be two totally separate things. There are many reasons for this. It can be difficult for managers or those personally invested in a business to separate what’s interesting to them, from what’s interesting to the general public. 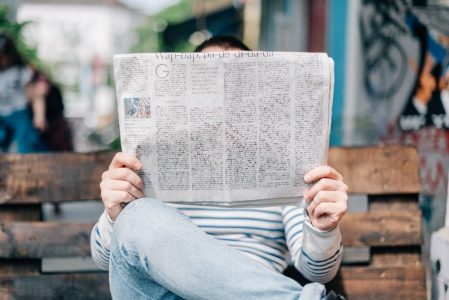 Being realistic and truly assessing the wider news value of your company information, can often shed a light on whether something is actually newsworthy. When deciding on news value, it’s always handy to carry out a little bit of research online into similar industry stories and gauge interest. Then there’s current events and news. This could be seen to be an easy win for businesses in achieving coverage. It allows businesses to comment on a story with in-built media interest while offering their own specialist opinion and adding genuine value to the article. Any time a company can legitimately further the discussion around a news story or widely discussed topic, they are ensuring their story is newsworthy. Let’s be honest, if you’re talking about something in the news, chances are the public will be too. Heartfelt human interest stories are particularly newsworthy and effective in engaging with the general public in an emotive way. Readers will empathise with articles which detail personal achievement, overcoming adversity, tragedy and triumph, and heartfelt struggles. This enables them to form an emotional attachment with the story’s subject matter increasing their engagement and understanding of your message. But this can be challenging when you are searching for a human angle in a business story. Ask yourself, did this promotion come after years of tireless work and personal achievement for the staff member? Has an MBO allowed a family member to continue their family’s business legacy? There could be something you haven’t considered! Obviously, this should only be used under appropriate circumstances and when there is a legitimate story to tell. What catches your attention more effectively – Workers taking duvet days due to stress, OR Over 1.8 million workers forced to take duvet days due to stress. Using statistics and figures within an article, and headline, not only strengthens it and draws in the reader by quantifying what you are discussing, but it backs up your point with numerical evidence and legitimises it. 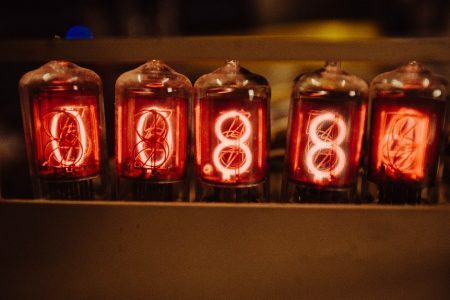 More people are likely to be engaged by an article that discusses specific figures that they can relate to, rather than something vague, such as terms including ‘large sum’, ‘significant amount’ or ‘numerous’. Overall assessing whether a story is newsworthy or not is really about being realistic, doing a little bit of research, using some news savviness, and exercising honest non-biased judgement. If in doubt, the PR team at jamjar are always here to help steer you in the right direction! As content and media specialists, we have a ‘nose for news’ and are happy to advise you on what has news value. A mumpreneur who set up a virtual assistance business to enhance her work-life balance has appointed six new recruits in less than a year. Claire Farren, founder of Farrens Executive Assistance, has more than tripled her head count since setting up the innovative business in 2016. The Bridgend-based company has enjoyed success thanks to its bespoke executive assistance service, which supports a range of businesses from self-employed to multi-million pound co-operations. Thanks to its unique offering, Farrens Executive Assistance has seen its client base increase by more than 60% in the last year. The fast growth of the business has been a significant achievement for Miss Farren, who founded the company just before welcoming her son Seth two years ago. In order to become a mother, she realised she required greater flexibility in her professional role and felt that becoming a virtual assistant was the ideal solution. Her innovative approach has also proved to be beneficial for her clients, allowing them greater flexibility when it comes to dictating the support required. She said: “After becoming a mum I decided that I needed to make a change professionally, to enable my personal and professional life to coexist more effectively. “I realised that after working as a Personal Assistant for over 15 years I had the skills and knowledge to set up on my own and create a truly bespoke service – and as a result Farrens was born. “Since then I have been thrilled with its progress and the business has gone from strength to strength. Not only has our flexible approach been a great success for me as a mum, but also for my clients as I can be available whenever they need me. “I never imagined that Farrens would have multiple virtual assistants so early and have an opportunity to expand, bringing more experience and expertise to our company. The 35-year-old mumpreneur is now preparing to share her knowledge as part of a new partnership with Educ8 Training. 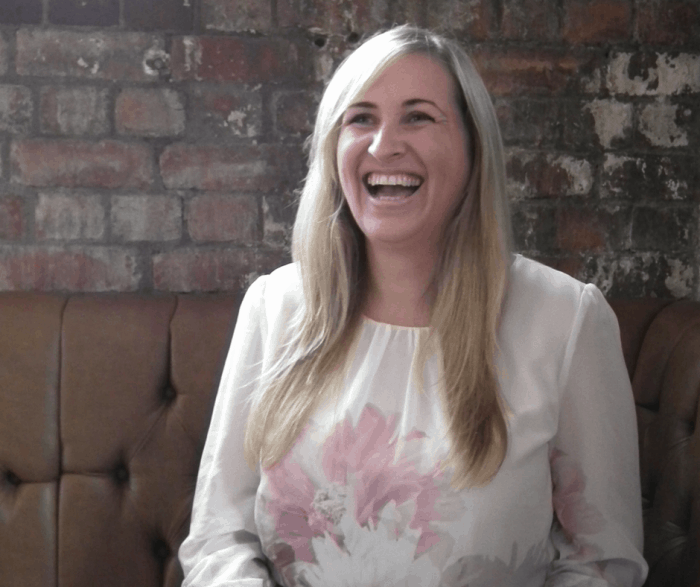 Miss Farren will be launching a PA mentoring programme alongside Educ8 Training, which will enable her to educate businesses, and directors, on how they can maximise their results with Personal and Executive Assistants. As well as mentoring Personal and Executive Assistants on developing their role further. She said: “The PA role is often isolated and underutilised within a business, as many directors are unsure about how to get the best results from this invaluable support function. “I believe that a Personal or Executive Assistant can be incredibly important within a firm, when given adequate support to enable them to thrive. With the number of potential modern slavery victims soaring to over 5,000 last year, a legal expert has urged businesses to recognise the warning signs “hiding in plain sight”. Phillip Williams, of leading defence solicitors Blackfords LLP, has urged managers and business owners to become more vigilant when dealing with third-party contractors or suppliers. He warns that companies could be inadvertently enabling the exploitation of victims by failing to recognise the clear warning signs. 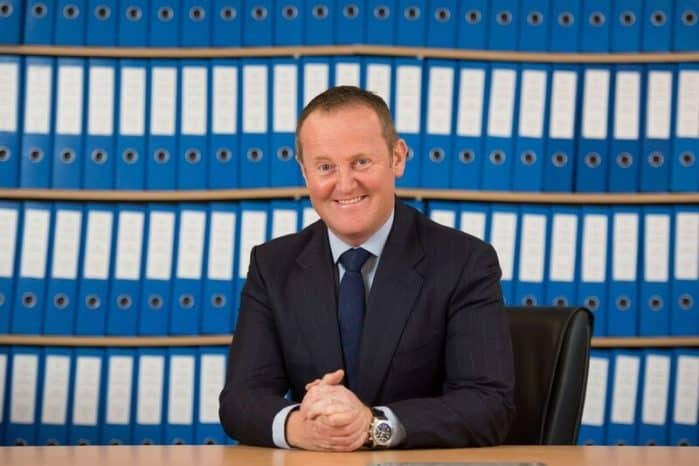 Mr Williams, who has extensive experience in defending companies and individuals charged with modern slavery offences, has spoken out after the Crown Prosecution Service revealed it had seen modern slavery prosecutions rise by a quarter between 2017 and 2018. He warned that this number could continue to increase if businesses were missing vital opportunities to identify exploitation in the workplace. He said: “Modern slavery is not an isolated issue in big cities, it affects all people at all levels of society. Slavery victims could be your hotel chef, your cleaner, your delivery person, or a contracted worker – so it is an offence which is very much hiding in plain sight. “Unfortunately, many business owners and managers become embroiled in prosecutions because they are unaware that their suppliers and third-party contractors are enabling the exploitation of workers. Here Mr Williams offers his expert advice to businesses on the five ways to spot modern slavery hiding in plain sight. Managers who frequently rely on the use of third-party contractors, labourers, or agency workers to complete a project may require documentation. It is at this stage that the first opportunity to identify a potential victim may arise. Mr Williams said: “Many modern slavery victims are unlikely to have any personal identification, such as a passport or a driving licence, which in this day and age is particularly unusual. 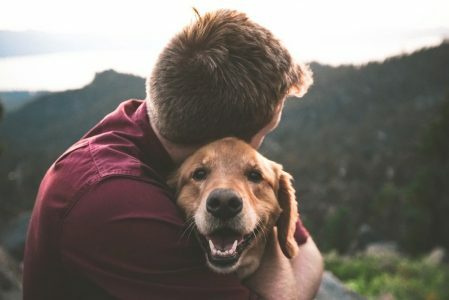 “Identification is frequently confiscated by those seeking to exploit the victim, in a bid to assert further control over them and prevent them from escaping. Those who oversee smaller operations and offices will often become familiar with the daily travel routines of their staff. While it is common for workers to arrive at different times, those who frequently get dropped off extremely early or are picked up late could be under the control of a manipulator. Mr Williams said: “Obviously not everyone who works late or arrives early should fall under suspicion, but if you already have concerns this could be another factor to consider. “Often slavery victims are entirely reliant on someone else for their daily needs, such as travel, with an aggressor using this to control the victim. As mentioned previously, modern slavery victims are unlikely to have any control over their personal identification. This also extends to bank accounts. Many managers may require a worker to provide them with bank details if they have hired them directly to complete a project. “Failure to provide bank details, without providing a legitimate reason, is a significant warning sign,” Mr Williams said. Signs of physical abuse, malnourishment, and unusual anxiety are all clear signs that a worker is being exploited. However a large company, which employs thousands of workers across numerous sites, could easily overlook this. To prevent this, Mr Williams urged companies to implement a policy of screening every new worker for potential warning signs of modern slavery. He said: “Directors and CEOs are unlikely to meet every new employee, but in losing that personal approach, we could also miss vital warning signs when using agency or contracted workers. “Businesses should safeguard themselves against becoming complicit by having at least one designated person to recognise the signs. In doing so they will protect the business, but more importantly the individual, from further exploitation. Colleagues frequently form friendships inside and outside of the office. However, a worker who is being victimised is more likely to avoid personal interaction of any kind. Mr Williams said: “Modern slavery is very much perpetuated by secrecy, and the victim’s inability to ask for help. “As such they will have been encouraged not to interact with co-workers or reveal any personal details for fear of retribution.